Professional contractors have the skills needed to perform the tasks. Installers must pass certifications and training. This isn’t just for general window installation. Contractors get specialized training from manufacturers on their unique products. This training ensures consistency in every installation. It also means they can notice issues you may overlook and make suggestions on how to best fix your problem. If you tackle the job yourself, you need to be honest about your skill set. Window installation takes more than just know-how. It also takes the right tools—many of which you can’t always purchase from the local home improvement store. 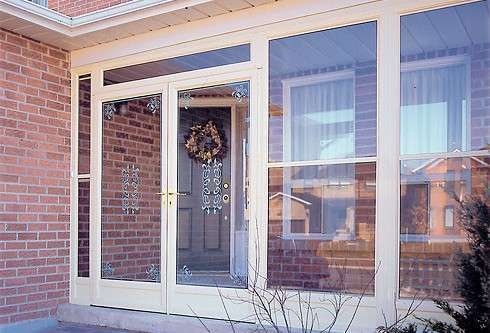 At Brock Doors and Windows we take great pride in the craftsmanship and knowing the best way to get things done. Properly fitting a replacement window requires precise measurements. There is absolutely no margin for error. And while it may seem simple, the truth is you can’t just measure the opening and be done with it. You have to account for clearance and insulation, as well as the size of the window frame. Any gap needs to be sealed properly. If not you will lose energy efficiency and throw more money out the window. It might seem possible to tackle one window on ground level over the weekend. But what do you do if you have several windows to replace and some on the second floor? What would take a professional installation team a couple of days could take you weeks, or even months, depending on your availability? With Brock Doors and Windows, you get the quickest turnaround times without compromising quality. Costly mistakes during installation are not something you want to be responsible for. Glass, by its nature, is a material that cannot be fixed once it is broken. One small crack or scratch during installation and you will need to purchase a whole new unit—again. This would not only compound your frustration, but also the expense of your window replacement. When you install replacement windows yourself you might get some kind of limited warranty on the product. However, improper installation can void any warranty you may have. By choosing a professional installer you get both a product and a labor warranty. This is a huge benefit, as it doesn’t leave you on your own. Don’t DIY your replacement windows. Instead hire our window installation professionals in Toronto. We have courteous and skills personnel with the right knowledge, tools, and talents that get the job done right. Call us today at (416) 324-2604 for a consultation, or come into 2131 McCowan Rd., Scarborough, ON M1S 3Y6.